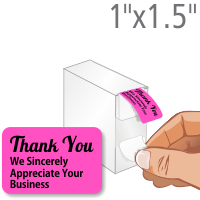 Grab plenty of Thank You Labels for your frequent, loyal customers or order some Past Due Labels for your forgetful, loyal customers. 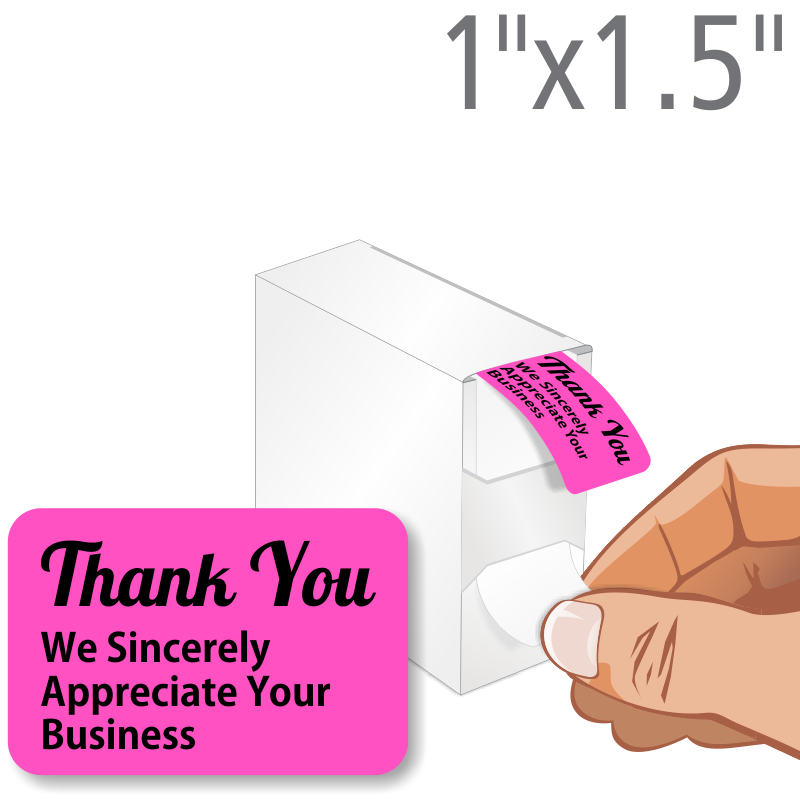 Let everyone know how important they are to your business. Colorful stickers are a simple way to show your appreciation. • Fluorescent labels with bold fonts can't be missed. 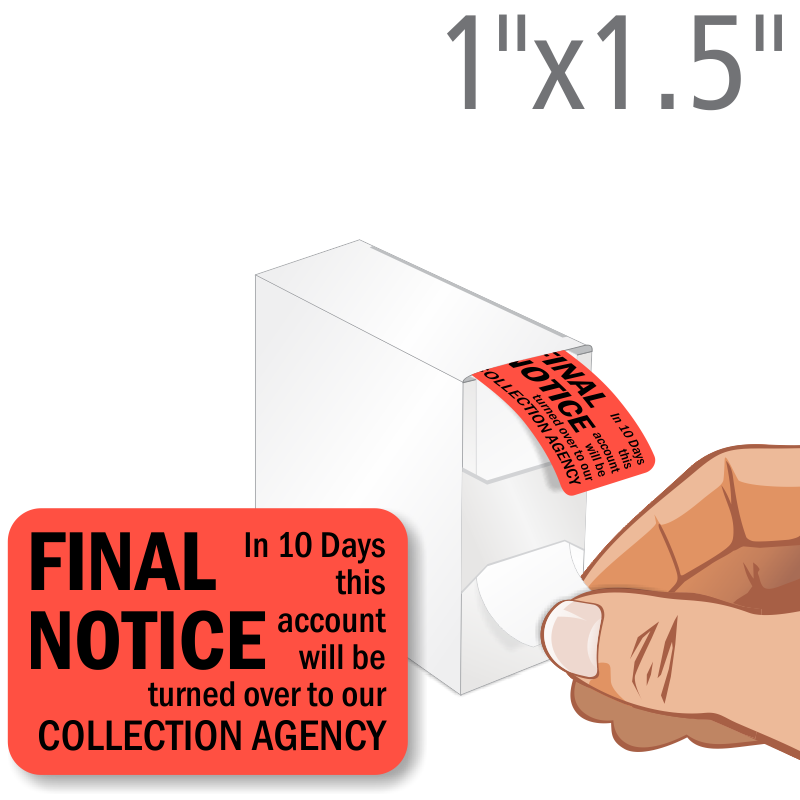 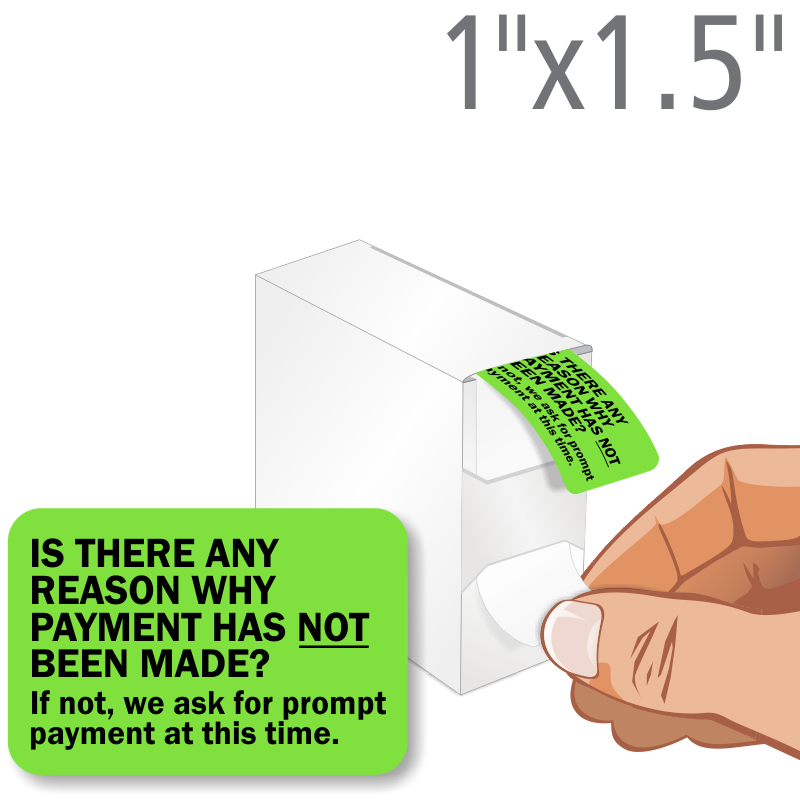 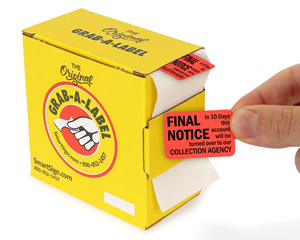 • Labels come on rolls of 500 in our handy Grab-a-Label dispenser. The dispenser makes applying the labels quick and easy. • Tiny, affordable, and effective at grabbing your customer's attention!